Quinta del Mar, Puerto Vallarta beachfront condos might just be the marvelous monarch worthy solution to your real estate needs and desires. Spacious open floor plans feature a custom high-end kitchen with roomy tropical hardwood cabinets, ample granite counter space and stainless steel appliances. 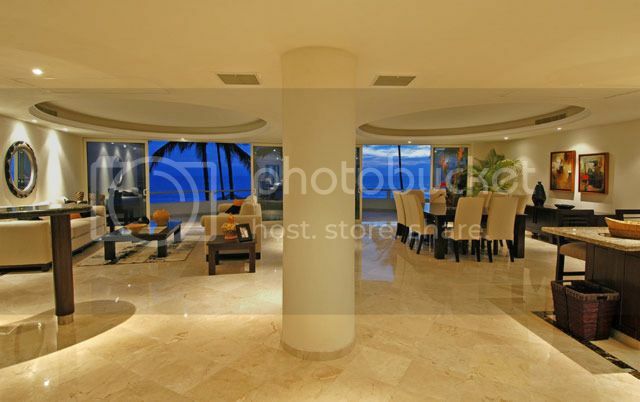 These Puerto Vallarta luxury condos harbor many such convenient facets as coved lighting which warmly boasts an embracing ambiance, spacious terraces, an elegant dining space, and adjacent wet bar making this domicile a perfect home for entertaining whether it be for family, friends or business gatherings. If you enjoy frequent visitors, the two spacious guest suites each with a private marble bathroom are sure to be a relaxing space for all your visitors. The luxury condos at Quinta del mar also have third guest suite, den or office space which are beautifully adequate for large families, gathering or can be a great space for an at home office. The king sized master suite showcases inspiring ocean views, custom bath of ultimate size as well as wonderfully comforting jetted tub. Other convenient custom features include imported marble floors and vanities, Moen fixtures, Mitsubishi A/C and double pane PVC doors and windows. The gorgeous development features 24 hour security for your protection, freeform beachfront swimming pool, huge sun terrace and sizable palapa entertainment area, with kitchen, bar and adequate bathrooms. 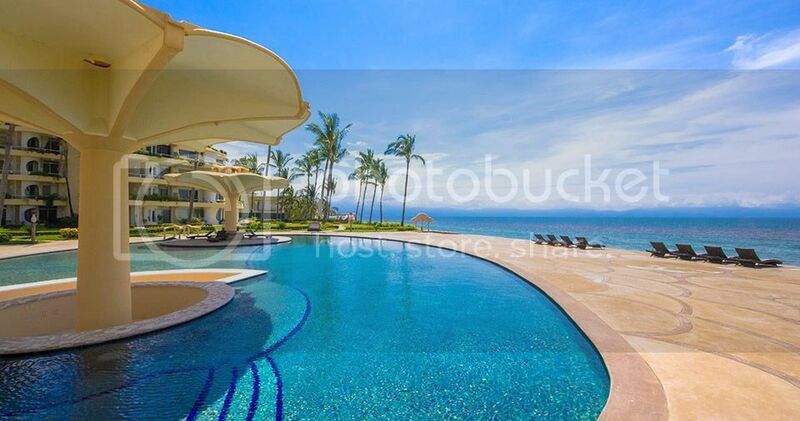 Offered move-in ready with all appliances and fixtures included, these spacious beachfront Quinta del Mar luxury condos are fabulous for sophisticated and discriminating buyers demanding the best and most luxurious in Puerto Vallarta Real Estate. Architectural aficionados will respect the spacious, elegant residences featuring wonderful and prodigious curvilinear architecture and extensive terraces gracing the outdoor space, surrounded by inspiring, verdant palms in soft wavering motions complimented beautifully by mellifluous ocean waves mixed with a turquoise paisley of every shade of blue and flecks of gold sunlight. Puerto Vallarta offers many amenities for your blissful retirement. If you´re a mindful devotee of meditation, the ocean views and morning and evening quiet environment can offer you a closeness to nature and source energy. Boasting vintage Hollywood style and a convenient location to everything one would need, including flavor rich vibrant local and fine dining, coffee shops for writing, contemplation or other relaxed activities. Tranquil ocean views from the windows harbor a welcoming and relaxing view of the ever-changing sky for morning coffee or preferred beverage. Luxurious relaxation can be the focus of every day. Rich in history, the community is vibrant with things to do, with legends of ancient pirates as well as the making of the famous and Oscar winning 1964 John Houston film Night of the Iguana increased tourist awareness from the United States and Canada. Made in the small nearby town of Mismaloya, the film brought global awareness to this area of Mexico, with the media covered affair of Elizabeth Taylor and Richard Burton further adding to the excitement and attention of this area of Mexico. Whether a history or film buff, lover of beautiful ocean views or simply ready and open to take in all the sites a new country and community have to offer, Quinta del Mar condos might be just the marvelous luxury life change you are in search of. The town, rich in history, is a natural oasis and tropical paradise. And, as always, Top Mexico Real Estate will here to help assist your endeavors, hurdles or international concerns along the way to make your dreams of residing in the Mexico a blissful reality.